Readings: Eze 18:21-28; Mt 5:20-26. 1/ First Reading: RSV Ezekiel 18:21 "But if a wicked man turns away from all his sins which he has committed and keeps all my statutes and does what is lawful and right, he shall surely live; he shall not die. 22 None of the transgressions which he has committed shall be remembered against him; for the righteousness which he has done he shall live. 23 Have I any pleasure in the death of the wicked, says the Lord GOD, and not rather that he should turn from his way and live? 24 But when a righteous man turns away from his righteousness and commits iniquity and does the same abominable things that the wicked man does, shall he live? None of the righteous deeds which he has done shall be remembered; for the treachery of which he is guilty and the sin he has committed, he shall die. 25 "Yet you say, `The way of the Lord is not just.' Hear now, O house of Israel: Is my way not just? Is it not your ways that are not just? 26 When a righteous man turns away from his righteousness and commits iniquity, he shall die for it; for the iniquity which he has committed he shall die. 27 Again, when a wicked man turns away from the wickedness he has committed and does what is lawful and right, he shall save his life. 28 Because he considered and turned away from all the transgressions which he had committed, he shall surely live, he shall not die. 2/ Gospel: RSV Matthew 5:20 For I tell you, unless your righteousness exceeds that of the scribes and Pharisees, you will never enter the kingdom of heaven. 21 "You have heard that it was said to the men of old, `You shall not kill; and whoever kills shall be liable to judgment.' 22 But I say to you that every one who is angry with his brother shall be liable to judgment; whoever insults his brother shall be liable to the council, and whoever says, `You fool!' shall be liable to the hell of fire. 23 So if you are offering your gift at the altar, and there remember that your brother has something against you, 24 leave your gift there before the altar and go; first be reconciled to your brother, and then come and offer your gift. 25 Make friends quickly with your accuser, while you are going with him to court, lest your accuser hand you over to the judge, and the judge to the guard, and you be put in prison; 26 truly, I say to you, you will never get out till you have paid the last penny. I. 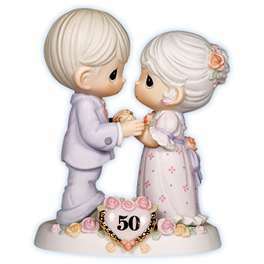 THEME: To be persevered in love all the day of our life. We often pay attention to the conversions from bad to good life; but seldom to the opposite, from good to bad as Judah Iscariot’s life. In reality, both can happen; but the latter happen more than the earlier, especially in the family life. For example, before the marriage, both husband and wife seem to have less shortcomings and to treat each other more kindly. Today readings remind us that both conversions can happen if we don’t carefully examine our conscience. In the first reading, the prophet Ezekiel emphasized both God’s mercy and justice. Due to His mercy, He doesn’t want the wicked to die, but to repent and to live. Due to His justice, He must punish if the righteous gives up his right way to do evil. Everybody has their whole life to exercise before they can be judged by God. In the Gospel, Jesus required his disciples to live more righteous than the scribes. They need to avoid not only murder but also anger, shouting and blaming because these acts violate human dignity and might cause spiritual damages. 1/ Reading I: God is both merciful and just. 1.1/ God’s way of judging: God doesn’t judge people daily, monthly or yearly; but He gives everybody their whole life before He judges them. This is the standard God uses to judge people on the Last Day. (1) Human reason: Is it just when one lives righteous his whole life and is damned by only one sin in the last minute of his life? If God is just, He should put one’s good and bad deeds to a scale and weigh to see which one is heavier. If his good deeds are heavier, he should be rewarded; and if his sins are heavier, he should be damned. (2) Divine judgment: Sins aren’t material things that people can weigh them. A sin seems light but can cause heavy damages. Moreover, sin is very contaminated; if a cancerous virus can kill a human life, sin can cause even more damages. For examples, the adulterous sin of King David. It damaged four human lives: Uriah, David’s first son with Bathsheba, Amnon and Absalom. It also hurted feelings of David himself, Bathsheba and Tamar, his daughter. Last, it scandalized many people and caused political confusion for the whole nation. God is the just judge, He shall justly judge everyone. We can’t know all damages of our sins; the only thing we can do is to avoid sins at all cost. 2/ Gospel: Jesus’ disciples must be more righteous than scribes and Pharisees. 2.1/ Murder isn’t only limited in body: Many people think they commit no sin because they consider only some heavy sins. If they don’t kill anyone, commit adultery and take others’ possession, they are clean. Today passage warned us to examine our conscience more careful. People can murder, commit adultery and take others’ possession in their thought. About the sin of murder, Jesus emphasized three following points. (2) Scolding: Jesus teaches: “Whoever says to his brother, 'Raqa,' will be answerable to the Sanhedrin.” The NAB translation of the BGT version is more correct than the RSV version. “Raqa” means the person who has no intellect, doesn’t know how to reason. It is an insult to the one who is called as such because he is degraded as an animal. (3) Degrading remarks: Jesus teaches “whoever says, `You fool!' shall be liable to the hell of fire.” “Morê” means a person who acts crazy in his moral life. Psalm 14:1 gave an example of this word: “Fools say in their hearts, "There is no God." Their deeds are loathsome and corrupt; not one does what is right.” To call someone “Morê” is to insult them having an immoral life, like prostitutes. Degrading people through slandering is a serious sin, worthy to be punished by the hell of fire. 2.2/ One must reconcile with others before receiving the Eucharist: The law of Old Testament required people to offer sacrifices to compensate for their sins. Jesus teaches: “If you are offering your gift at the altar, and there remember that your brother has something against you, leave your gift there before the altar and go; first be reconciled to your brother, and then come and offer your gift.” If people don’t reconcile and forgive others, how can people offer their sacrifices to ask God for forgiveness? In a similar way when people go up to receive the communion, how can people be united with God when they are having problems with others? - We can become better or worse. We must frequently examine our life to recognize which way our life is heading to. - God doesn’t want the wicked to die, but to repent and to live. We must want the same for everyone and give them opportunities to become better. - To be loyal in righteous life, we need to understand God’s teaching and live according to them, especially to avoid sins at all cost.